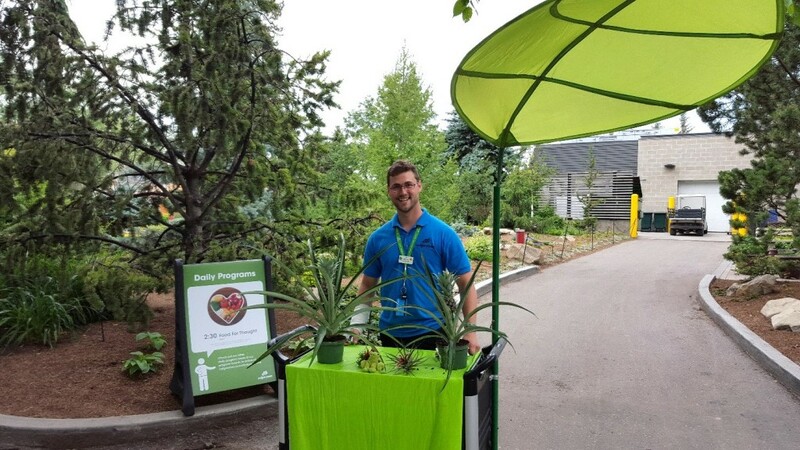 Free zoo programming gets BOLD and BOTANICAL! Safety blankets, Mr. Teddy, cookies, chips… we all have those items that we just can’t live without. For the greater sage-grouse, that item is the silver sagebrush (Artemisia cana). Only for them, the silver sagebrush is more than just a luxury; it is their home, their nutrition, and their mating stage. For the grouse, sagebrush means life. 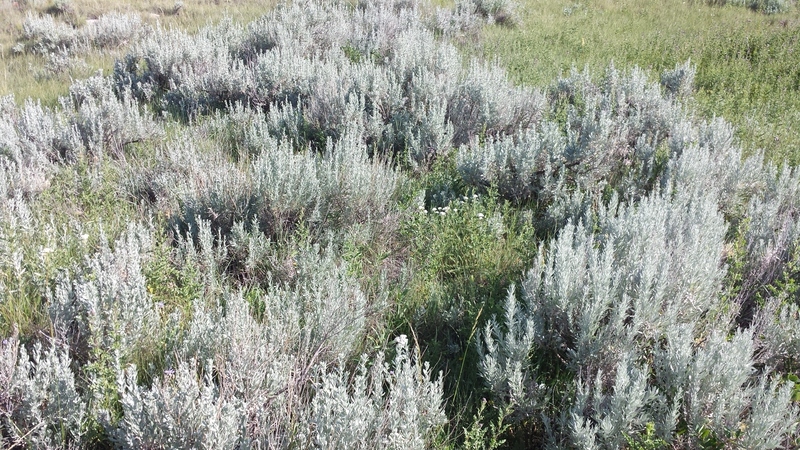 Wild silver sagebrush found in Grasslands National Park. Unfortunately, the greater sage-grouse is a prairie bird that is currently listed as endangered in Canada. A big part of the threats facing this grouse is the decline in sagebrush habitat. Here at the zoo, we are working to help save these birds. 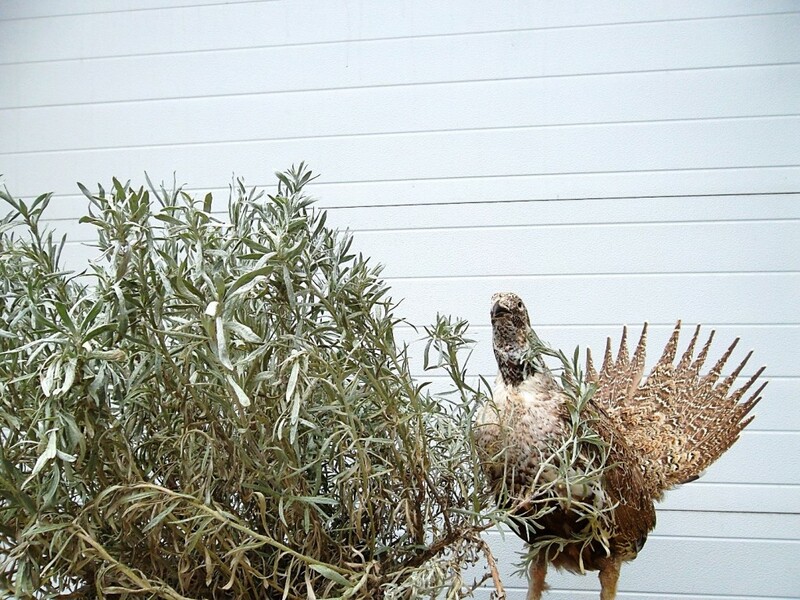 Our taxidermy male greater sage-grouse next to a live silver sagebrush. One way we are doing this is through our educational programs. New this year, we have free on-grounds botanical talks happening each and every day of the summer! This allows us to talk about the connections our threatened animals have with the plants of their habitats and suggest things that you can do at home to help wildlife conservation. A botanical interpreter talking about pineapples as part of our Food for Thought program. We also talk about ecosystem services plants provide like oxygen production, water filtration, flood control, temperature regulation, medicine, and of course food! There is even a program about how we get our food, how it grows, and ways in which you can make what you put in your grocery cart save animals across the world. 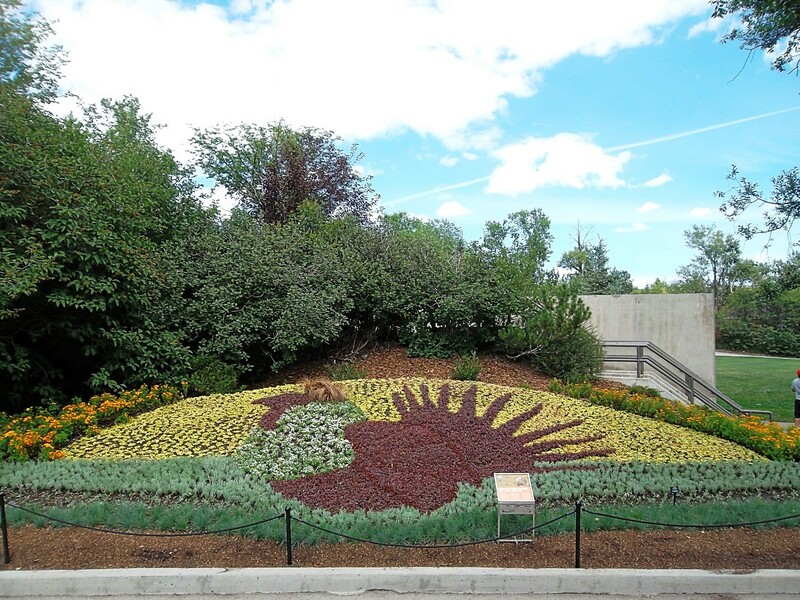 Our talented Horticultural team dedicated a garden bed to raise awareness for the greater sage-grouse. We are thrilled to be a part of the zoo’s wonderful interpretive team and excited to share stories like the one about sagebrush with our visitors. We love plants, love to garden and would LOVE for you to stop by and learn from us. Visit here to find more about these great programs.